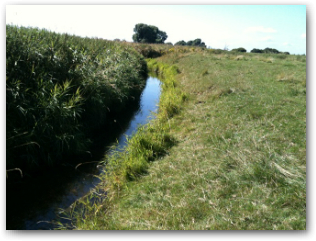 The River Restoration Centre (RRC) is able to support and provide advice to designers, project managers and practitioners in a variety of different ways. While the two examples below are intended to show some of the ways we can help, we have a very flexible approach and it is often easier to talk to you directly to find out how we can help. 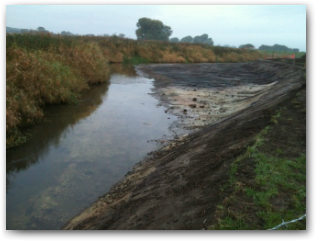 RRC provided a short review of a number of scenarios that Environment Agency staff had proposed for a section of the river where works were planned. 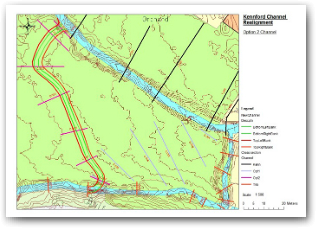 RRC was able to suggest ways to alter the conceptual designs to construct a more diverse and ‘natural’ channel and therefore deliver a greater number of benefits. The scheme was delivered in 2014 with initial post-project appraisal suggesting that the works were successful (i.e. the channel is adjusting as expected to its and the designed pool-riffle sequence is leading to the formation of a variety of new in-channel habitats). RRC is always on-hand to offer advice and support throughout the design and construction phase of your restoration project. Give us a call, ask us questions if you’re unsure of anything and send us photos and sketches for us to comment on. We aim to provide targeted advice and guidance in any circumstance and can call upon our network of experienced practitioners if we don’t know the answer ourselves. RRC was able to suggest the most appropriate restoration techniques and how to implement these, in line with best practice, for a restoration project in 2013 near Scotterthorpe. We provided some site-specific advice and recommendations on the basis of maps, photographs and a short telecom to discuss the project – without needing to visit ourselves. We were able to provide similar examples and this helped the on-the-ground works to run smoothly, to time and budget.